As I leave for the 2016 edition of the SIHH today, I’m anticipating all the new timepieces I will be privileged to see and perhaps even try on while there. I’ve been lucky to have a sneak preview of a few introductions from various brands (as you will see in our upcoming Winter edition of iW), and these have understandably ramped up my excitement about the many more that will be on display at the multi-day event held in Geneva. 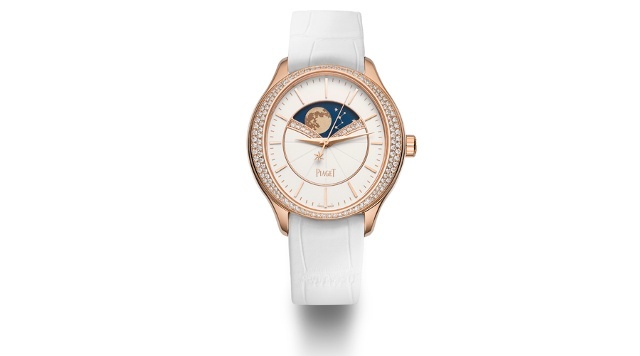 Here I’ll share just a few of the watches for women that I just can’t wait to get my hands on…. This Cartier complication displays the sun and moon tracking each other across the upper part of the deep blue dial, while beneath it is a moon phase display shown by a hand that captures the appropriate phase depicted in diamonds and sapphires. This is the third version of this popular display, in 40mm white gold. Be still my heart: a high-jewelry version is also available. In 2016, Jaeger-LeCoultre celebrates its 85-year-old and well-loved Reverso. 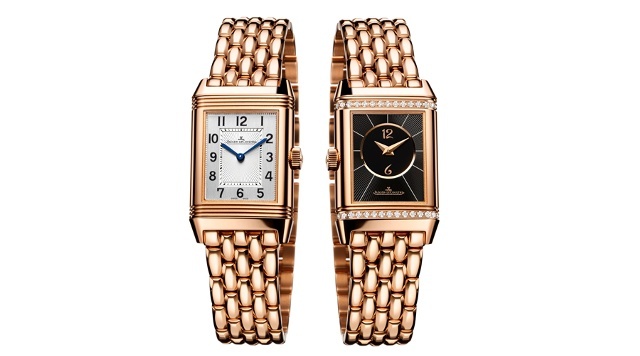 Just prior to the January SIHH, the company debuted models within two new Reverso collections: Reverso Classic and Reverso Tribute, while the first models in a third collection, called Reverso One, will be shown at the SIHH. Shown here is the Reverso Classic Small Duetto. 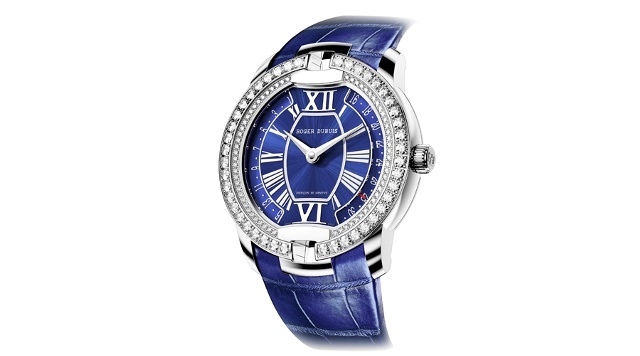 Two new Velvet models further demonstrate that Roger Dubuis takes careful note of its female clientele. The 36mm Velvet Secret Heart shown here offers a double retrograde date function, the first small complication seen on a Velvet watch. The jumping and timekeeping are driven by a brand-new automatic caliber, RD821B. Piaget’s Limelight Stella, a 36mm gold watch (with or without diamonds) with a highly accurate astronomical moon function will be making its gorgeous debut. 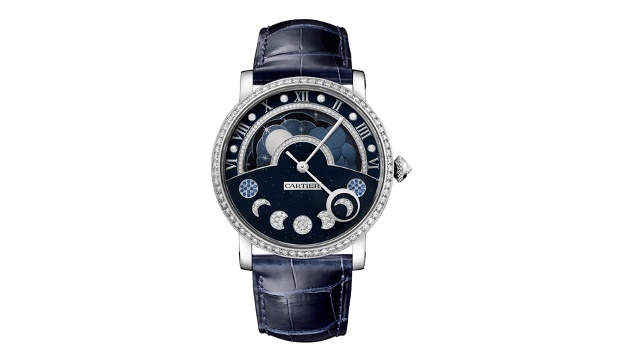 The moon phases appear on a disc decorated with stars and two moons driven by a 135-toothed wheel, hence the watch will require a one-day correction only after 122 years. The newly made in-house automatic Caliber 584P drives the hours, minutes, central seconds and moon phases at 12 o’clock. Piaget uses its caliber 580P for the jeweled version, doing away with the central seconds hand to highlight the jewelry work. 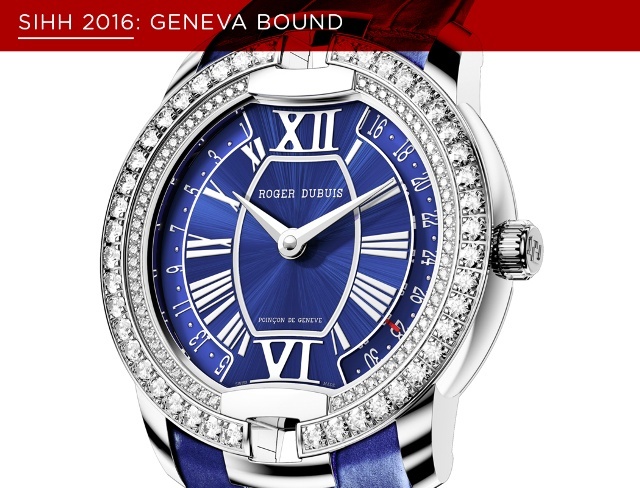 Stay tuned for Mike Thompson’s preview of men’s watches at SIHH 2016 later today.